Guided imagery is a behavioral technique used to direct individuals to effectively create and manipulate mental representations to produce therapeutic changes. A growing empirical literature supports the use of these techniques in a variety of physical and emotional conditions. The focus of our research program is on applying these techniques to the treatment of post-traumatic stress disorder (PTSD). We have developed and piloted a clinician-facilitated, self-management intervention for PTSD called guided imagery for trauma (GIFT). We describe the rationale for this approach, its conceptual framework, and the treatment protocol. 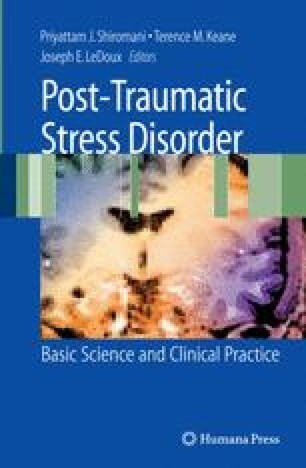 We present preliminary findings in a sample of women with PTSD related to military sexual trauma, which demonstrate feasibility, tolerability, and a large effect on PTSD symptoms. We also describe our current research efforts, including a randomized controlled trial of the GIFT intervention in women survivors of military sexual trauma, and the extension of this intervention to the treatment of combat-related PTSD. We acknowledge assistance from the Department of Veteran Affairs Research Career Development Award (J. L. S.), Samueli Foundation/VET-HEAL Award (J. L. S.); National Institute of Mental Health R03 Award (J. L. S.), Department of Veteran Affairs Advanced Research Career Development Award (CEM), and Veterans Affairs Mid-Atlantic Mental Illness Research, Education, and Clinical Center. The views expressed are those of the authors and do not necessarily represent the views of the Department of Veterans Affairs. This chapter is presented in loving memory of Dr. Marian I. Butterfield, who died on June 26, 2006, after a courageous five-year battle with breast cancer. We wish to acknowledge her extensive contributions to the ideas and research presented and to celebrate her significant contributions to the field of psychiatry and to the care of our nation's veterans. Guided Imagery. Available at http://www.holisticonline.com/guided-imagery.htm.